So here is a Vivo haul! The newest addition to Tescos makeup aisle. I first saw this with my mama in Tesco, I was amazed at the price but wary about the quality....so I thought I would have a look. Heres part 1, the lipsticks. This lipstick is a light shade with a pinky hint. It doesnt really suit me and would probably need some lip gloss to give it a finished look as it didnt seem to sit well on my lips, if that makes sense! 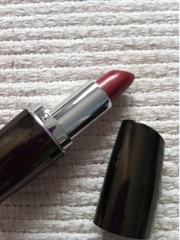 Its soft and applies well but doesnt last long, the packaging isnt finished well with some chips or scratches but then for this price the quality is what I was interested in rather then packaging. I dont think I would purchase this again, I would probably just save a bit more for another brand. 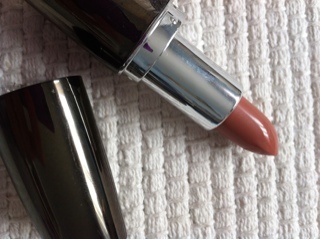 This is my favourite out of both shades!The colour is more suited to me, looks better on my lips as it doesnt go in my lines. It is rich and moisturising for my lips but yet again does not last long. Shame as it is a nice colour, yet again I wont be buying again as I would need to reapply loads throughout the day. To the left is Very Berry and to the right is Barely there. Its a shame they don't last long because the colour are lovely. 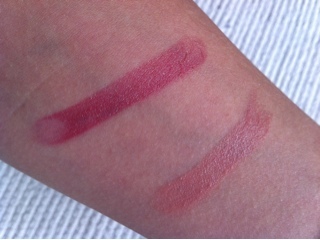 I heard great things about the vivo lipsticks but when I tried BarelymThere I wasnt keen on the shade on me.